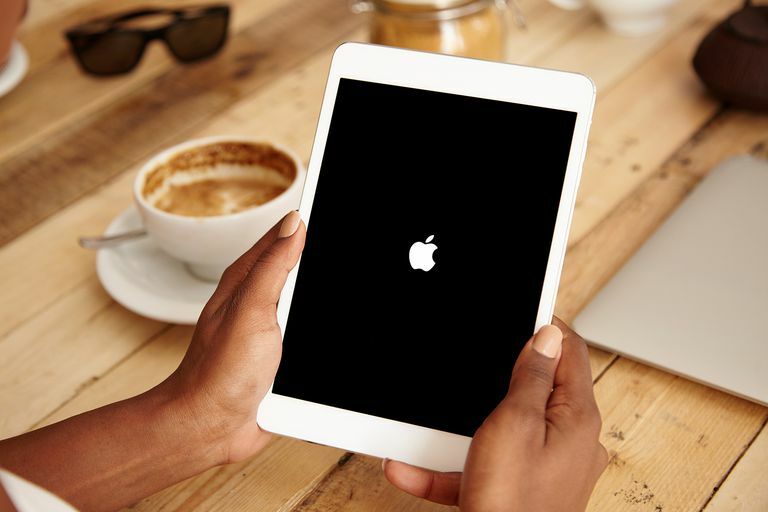 There are many ways to personalize your iPad including buying a distinctive case and customizing sounds for email and text messages, but by far the easiest way to add some bling to your iPad is to set a personal background image for your lock screen and your home screen. There are two ways you can go about doing this: choosing the image through the Photos app and using Settings. The Photos app provides an easy way to select a background image (called wallpaper) for your lock screen, home screen, or both. Use the ​Photos, Memories, or Albums icons at the bottom of the screen to locate a photo you want to use as wallpaper on your iPad. Tap the photo to select it. With the image selected, tap the Share button at the top of the screen. It is the button that looks like a square with an arrow poking out the top. Tap Use as Wallpaper in the rows of buttons that appear at the bottom of the screen. Move the photo around the screen by dragging it with your finger. You can also use the pinch-to-zoom gesture to zoom in and out of the picture until you get it just right. Optionally, tap Perspective Zoom at the bottom of the screen to the On position. This causes the photo to move based on how you hold the iPad. This effect works well with for photographs of scenery such as a sunset over the water. When you are finished positioning the photo, choose from Set Lock Screen, Set Home Screen, or Set Both. The iPad comes with a few backgrounds animated with bubbles. You can only choose these Dynamic backgrounds through the Settings app. Another way to personalize your background screen wallpaper is through the Settings app. It's not quite as easy as using the Photos app, but it offers you a selection of image stills from Apple and dynamic images that provide animation for your iPad's background. Tap the Settings app, which looks like gears turning. Choose Wallpaper in the menu on the left side of the Settings screen. Tap Choose a New Wallpaper, which appears above the two thumbnail images that display the current lock and home screen images. Tap Dynamic to use animated bubbles, and select the color of bubbles you prefer by tapping one of the options or tap Stills to view Apple-supplied images suitable for wallpaper. Tap the one you want to use. The photos stored on your iPad are listed under the Dynamic and Stills selections. If you have iCloud Photo Sharing turned on, you can choose a photo from any of your shared photo streams. After choosing a picture or theme, you are taken to a preview of the image you want to use for the iPad's background. Similar to choosing a wallpaper from Photos, you move the image about the screen with your finger or use pinch-to-zoom to zoom in and out of the photo. To set the background, tap the button labeled Set Lock Screen to set the photo for your lock screen, Set Home Screen to make the photo appear underneath your app icons or Set Both for the picture to be used as the global background for your iPad. Now all you need is a great background image. Check out these cool background images, or save a photo from the web to your iPad by holding a finger down on the photo in the Safari browser. A good way to find fun background pictures for your iPad is to do a Google image search for iPad backgrounds.